So, we're now selling free-range chicken. For that reason we've found som delicious images and a recipe for the chicken, which we will post here. The recipe is from Danish food-blogger Mira Arkins blog, which can be found here. Thank you, Mira, for letting ud use the recipe here. 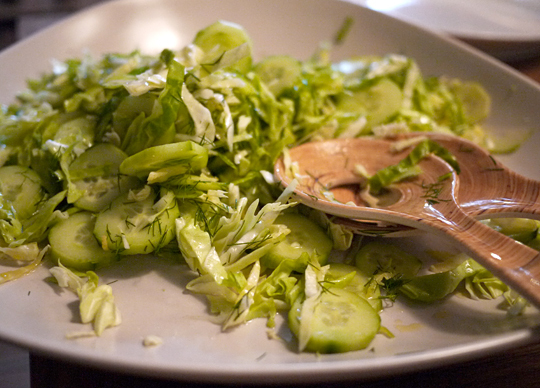 If you prefer the recipe in Danish, you should swing by Mira's own page to check it out. 1. 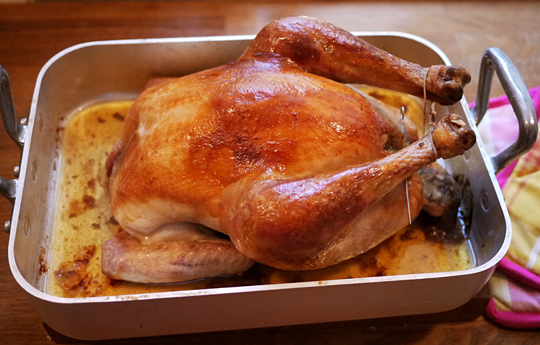 Remove the thawed chicken from your fridge one hour before it is time to bask in the oven sun. If the chicken is not thawed, then it needs to that in the fridge for two days. Preheat your oven to 160 degrees. Optional step: open a bottle of delicious Danish blackcurrant wine. 2. Cut celery and onion into little cubes and fry them in 25 grams of butter along with the chopped sage leaves. Fry it for a couple of minutes until it changes colour. Don't let it become too brown. Turn off the heat and transfer the vegetables to a bowl. Slice the bread, including the crust, into cubes. Mix it with the vegetables and the milk. Add salt and pepper. 4. Sparkle the chicken with salt all over and put it in the oven for 150 minutes. Serve with the breadstuffing and potatoes along with the stock from the chicken. Optional step: make a salad to go with the chicken and the potatoes.